Basic custom imprint setup & PDF proof included! 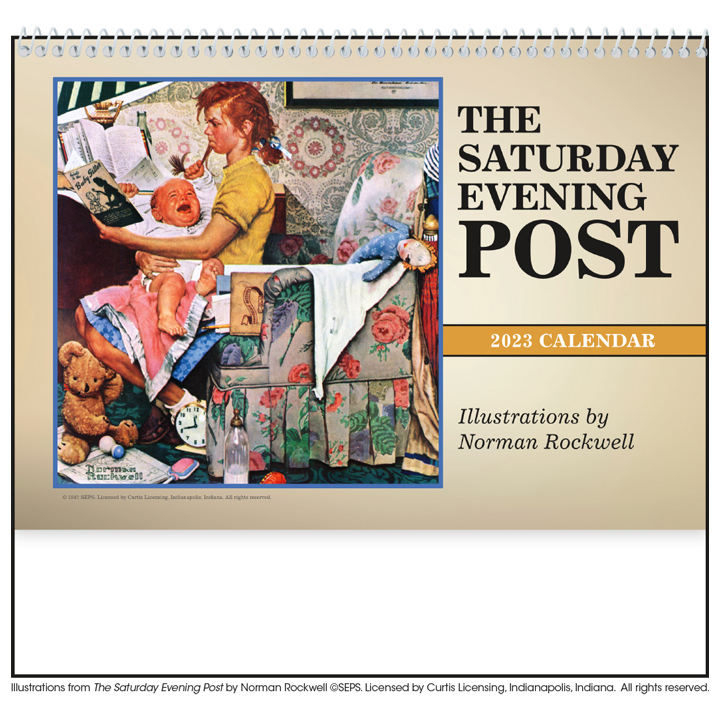 This pocket appointment calendar features unforgettable characters from the American legend, Norman Rockwell and his iconic Saturday Evening Post illustrations. Reverse collated for year long storage, easy hanging and page flipping. 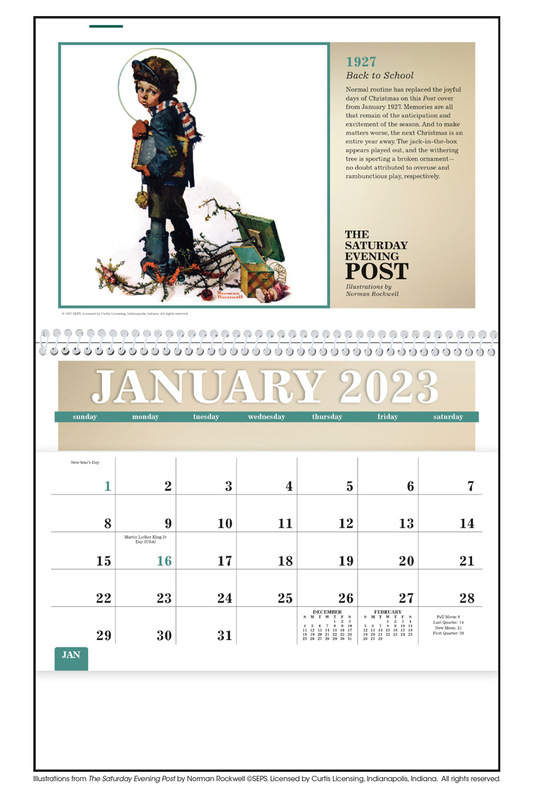 A great upgrade from the traditional wall calendar that your customers will appreciate and use all year long! 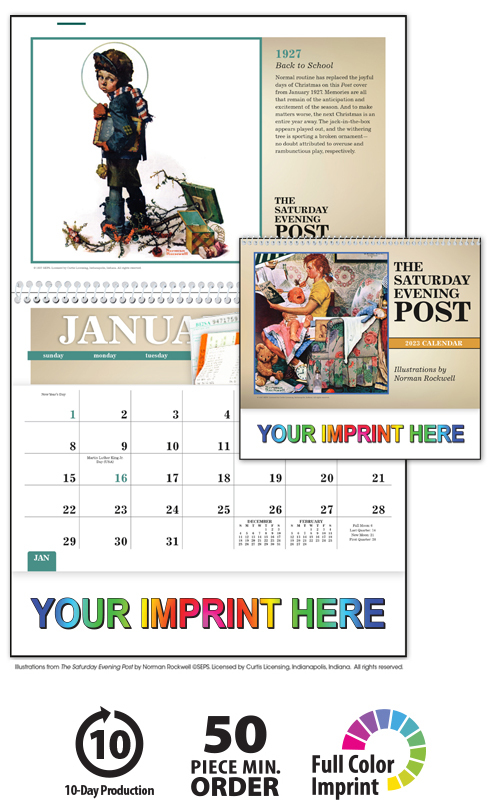 This high-quality Norman Rockwell pocket calendar will proudly display your message for the entire year!